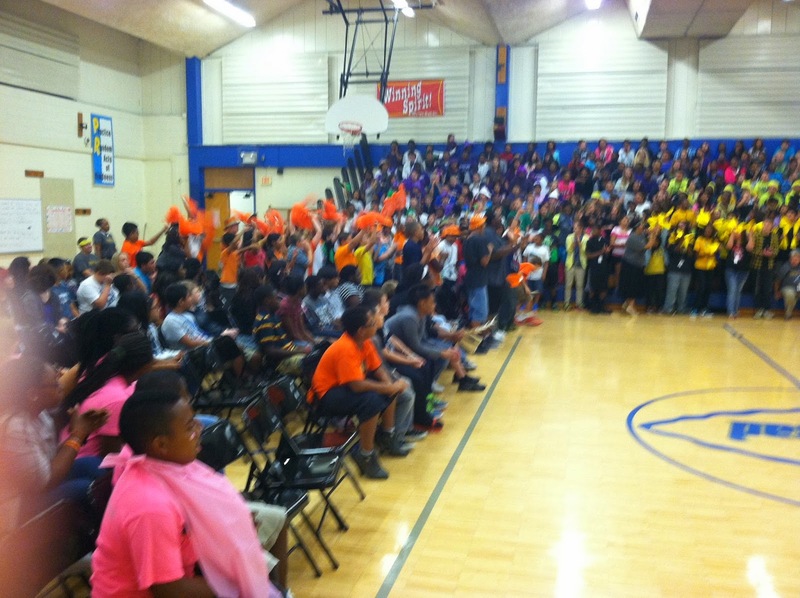 Our first all-school rally of the year was off the chain! Really, it was something like out of a movie, except that I don't know a movie that depicts the magic we made at Arrowhead Middle School three weeks ago. This is our third year using multi-grade Houses as a structure for creating a sense of belonging and fun for every student. Our current eighth-graders never knew a middle school year without Houses. More kids have bought into the fun of representing their House with colors and chants, and most are totally down for our year-long competition among the Houses. 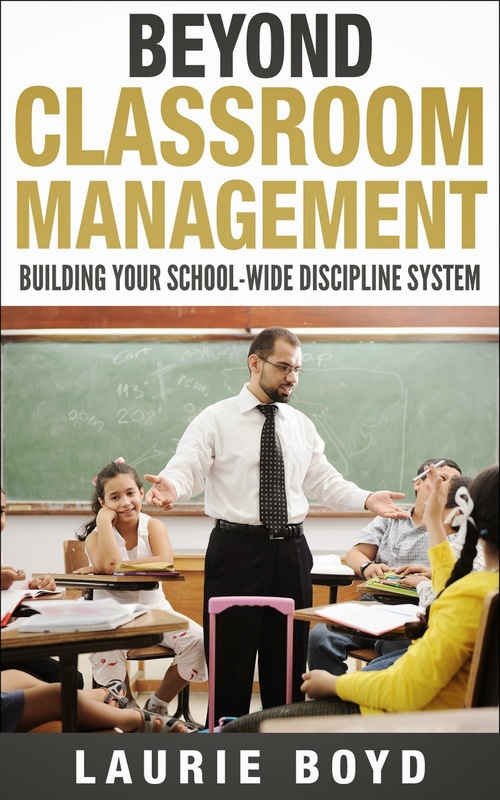 Teachers and staff realize that this structure is not about giving us all more work to do; it is the balance to our strict discipline system, a significant portion of our orchestrated FUN! We always try to kick off our first rally with the Washington High School Marching Band. 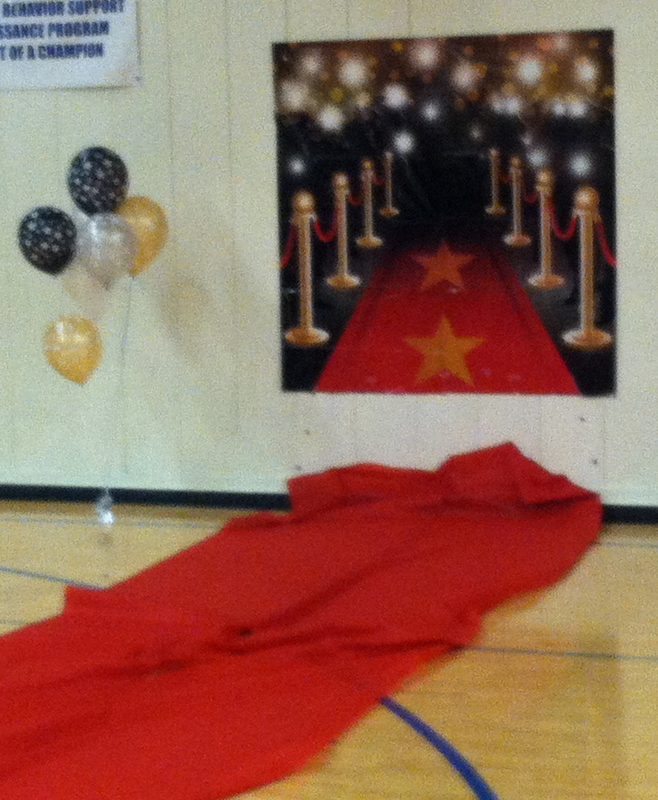 This is the high school most of our middle-schoolers will attend once they leave us. A well-oiled, music machine, under the direction of Chris Green, the marching Wildcats hit the doors with booming drumbeats and blaring horns. It's all hype as they play loudly, and dance, while our students enter and take their seats in the multi-purpose room (school gym). We could hear the Houses practicing their cheers and chants throughout the building all morning. We glimpsed crazy hats, gigantic bow ties, and face paint. Every group was decked out in their primary colors. The defending champions, House of Strong Foundation, showed up strong, with green hats and emerald mardi gras beads, wearing their "House Champs" t-shirts, awarded at the end of last school year. As 2013-2014 winners, they have bragging rights all year long. House of Hope wore bright pink shirts and capes, and swipes of pink face paint under each eye. House of Creativity was a swarm of bright orange, and the Valiant House of Reason, flashed their electric yellow. Our Master of Ceremonies, Mr. Brame, a member of Reason, sported his matching yellow pants. 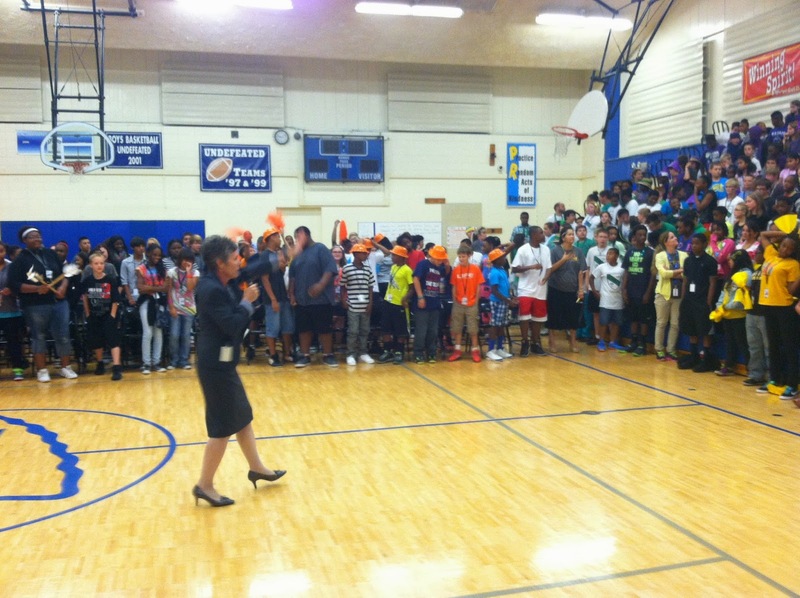 Dr. Cynthia Lane, our district Superintendent, joined us for our kick-off festivities. She can motivate any crowd. We all appreciated her belief in us and her inspiring message. Other items on our Rally agenda included our cheerleaders and campus officer performing the Arrowhead Anthem, our dance team, and the always popular cup-stacking competition among House captains. Already, hundreds of House points have been earned by students: for bringing their school supplies by our due date, for earning stamps by being prepared for class, for displaying House spirit at the rally. GPAs, attendance, behavior, community service, sports eligibility, and attendance at family conferences add to a student's point contribution for his or her House. 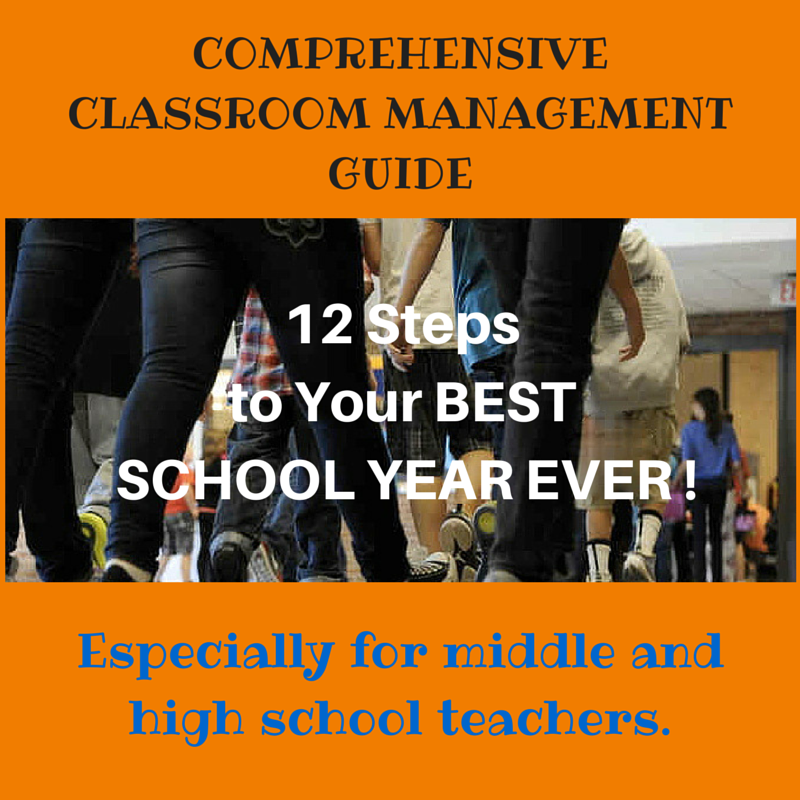 It is ON this school year! No one will want to miss the second rally, which means they will need to achieve a minimum of all C's in every class first quarter! Many thanks to the members of our creative and efficient Renaissance Committee, who plan, prepare and host these incredible assemblies. And congratulations to all the teachers in our building, all of whom successfully invested our students in our building-wide motivational program. This morning, before leaving for work, I discovered that my book formatter had finished the final edits, and my completed file was nestled, like a gift, in my gmail inbox. I had already completed all the sections of the Kindle Direct Publishing (KDP) application I could before uploading the book file, so I was eager to get home this evening, make a few clicks, and see my e-book and book description on my own Amazon sale page. I read print and online books, blog posts, and forums. My situation has me temporarily tight-fisted, so several decisions amounted to "what's the cheapest way to make this happen?" 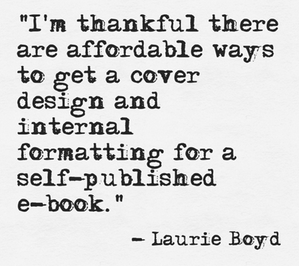 I'm thankful there actually is a very affordable way to get a cover design and internal formatting. Working with technology I have not yet mastered makes me feel like I've been immersed in a foreign country where no one speaks English. I knew I did not have the time or the patience to become fluent in book formatting, so I hired a formatter on fiverr.com. I bought two "gigs" (one for each of 50 pages; my book has 100 pages. Cost: $10. By the way, to pay for services online, I set up a PayPal account, deposited money from a bank account I set up for business, since I am basically starting a business with the production and sale of my products - books. This way, the broad accounting requirements are taken care of (until I learn more about how to run such a business). I gave my fiverr.com formatter $10 more for the hassle of making the images at the back of the e-book read-able, and will probably still send in a "tip" for a total of $25. I think "hajath" did an awesome job on the pages, including the font, the headings, and the clickable Table of Contents. It took a total of eight separate messages to finish all the pieces, but I never had to wait more than 24 hours for a return e-mail and revised file. Best of all, the book content file was accepted immediately when I clicked to upload it on Amazon. The design was balanced and attractive. I just couldn't get over the "canned" appearance of the stock photo. Social media shares taught me that e-book titles must be legible even at the thumbprint size. When I got my cover design back, I shrunk it down while viewing it in "Preview" and could read my title even when the image was miniscule. My name even showed up well enough. 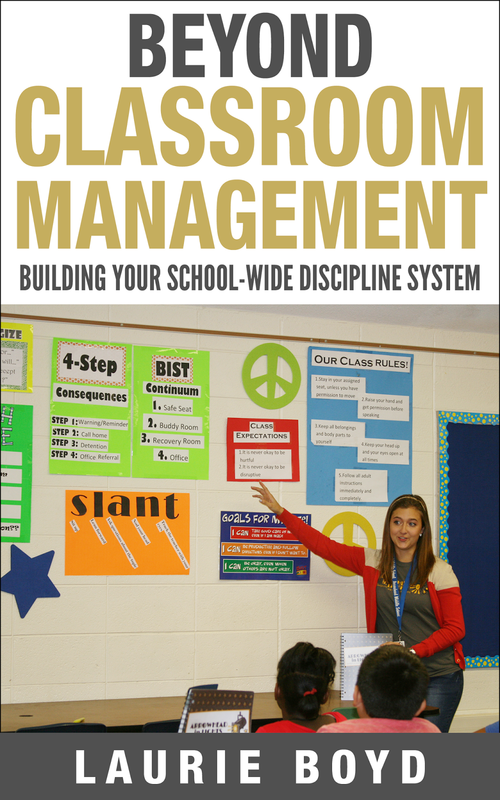 Around this time, I changed the name from Building Your School-Wide Discipline System to Beyond Classroom Management: Building Your School-Wide Discipline System. (See What's In a Name Change?) So I asked the same designer, through the email messaging system on fiverr.com, to change the title. My designer changed the name in a few minutes' time. After I had attained a "real" photo of one of my teachers delivering our common rules and consequences to her class, my designer switched out the cover images for another $5 gig. I tipped her and got the finished cover design for less than $20. Outsourcing the tasks I could not easily do myself cost me less than $50. 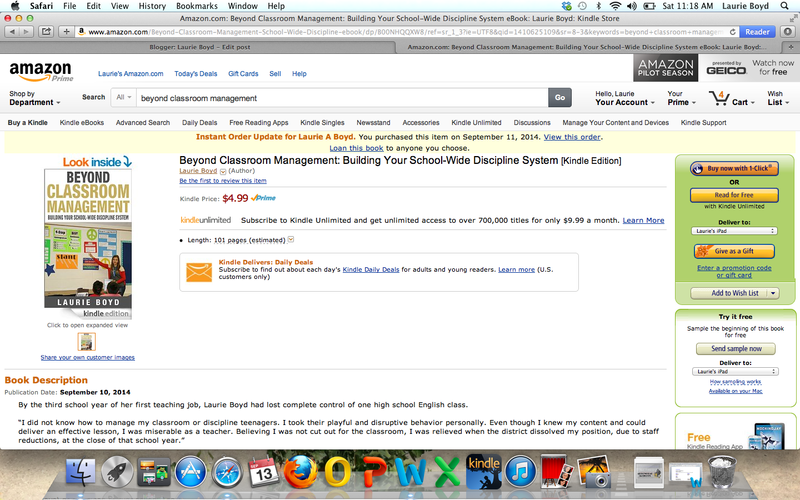 Uploading the cover and the book content on the Kindle Direct Publishing site was effortless. Looking back, all of these tasks could have been accomplished within a couple weeks after finishing the manuscript. I'm looking forward to repeating the process - quicker and easier, of course - with my next book. Administrators’ school year starts four weeks before the kids arrive. The first three weeks we are attending numerous meetings, including sessions about our own professional development, updates from departments, review of district goals, and school leaders' marching orders. In between all those meetings, I’m working with teacher leaders on our building-wide instructional programs, the master schedule, interventions, and teachers’ professional development. My assistant principal and secretary and I spend considerable time examining and updating our Staff Handbook, and I continue to interview applicants for any remaining vacancies. Then we have one week with teachers before the kids come. We have two full days of building in-service, another two days in district content meetings and at district-wide convocation, and a full day of classroom preparation. All leadership personnel in my building know very well that the success of our school rests on how well we can support our teachers. They are the ones who make the greatest difference for our students. So our attention is on them, not on the kids, as we start the school year. This year, we are starting our school year with 10 new teachers, three of which are new to the profession. Six of our new hires attended five days of Basic BIST Training to learn about our school-wide system for working with difficult students. Several returning teachers spent inordinate amounts of their own time helping new staff prepare for their classrooms and students. 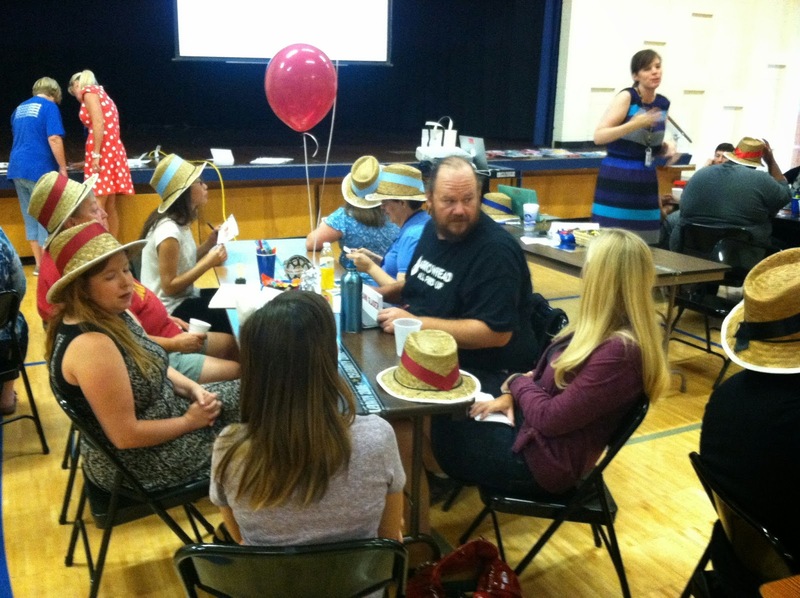 At our opening meeting, one of our new teachers remarked, “Wow! A whole breakfast. We always only got donuts.” Donuts are not enough for our super stars. We cook scrambled eggs, bacon, and sausage to accompany our pastries on opening day. This was the best start of school year we have ever had. Our building structures are tighter than ever. 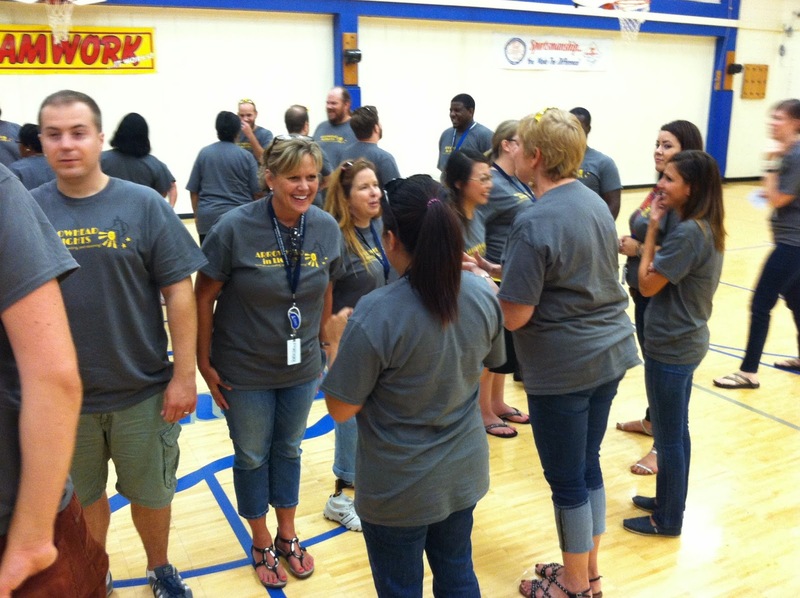 Our returning teachers are more prepared and/or have gained more expertise. We leaders are more focused and are trying to roll out all programs and initiatives, including our building-wide discipline system, in smaller chunks of implementation, with facilitation and teaching. I would put my teaching staff (and my leadership staff) up against any workforce in any school building in the nation. They just rock! 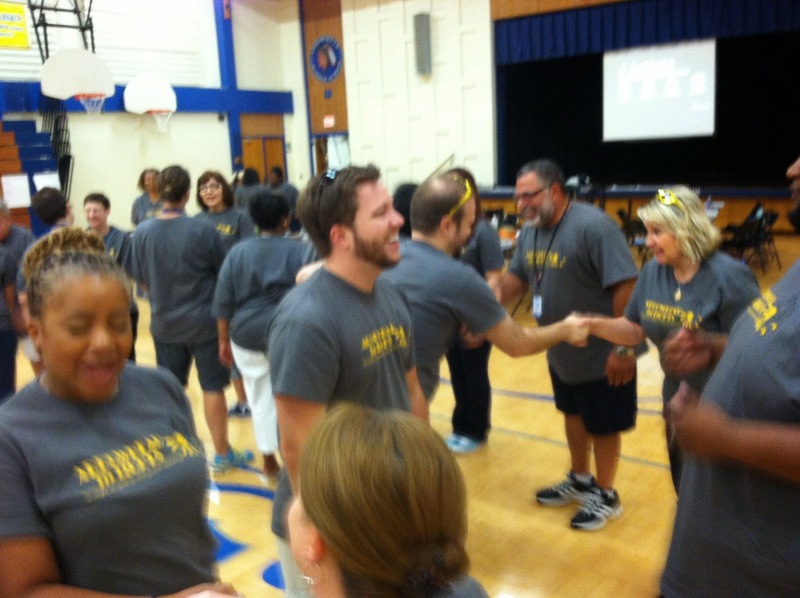 They rock our school theme and motivational structures – Houses! They rock their grade level team tasks! They rock our discipline system and our student support system! They rock Unit Planning and Daily Planning! They rock supporting one another! They rock their bulletin boards! They rock their grade book system! They rock how they take care of kids! They rock our interventions – academic and behavioral! They rock our building literacy initiative! They are celebrities. They deserve red carpet treatment. They even rock their own humility. It doesn’t matter how often we tell them how great they are, they never rest on their laurels. They just pick up the next task or focus . . .
and they rock that, too! School may begin. The teachers are back!